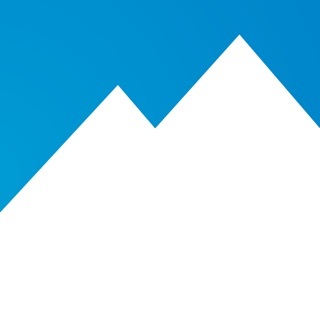 Snowledge: The only ski and snowboard app you need on the mountain. Snowledge works globally across every resort and in the backcountry. Designed by and for skiers and riders who want to get the most out of their ski day through accurate, location-based resort and snow report information. Enjoy easier trip planning, tracking, and sharing, right at your fingertips. Use GPS to track your day, easily find your friends and family, and connect with the local ski community at every mountain. Explore what’s happening with exclusive in-app contests, real-time weather and snow conditions, live on-mountain communications from resort partners, special deals and offers, and more. Track your speed, runs, vertical feet, and elevation alongside your photos and videos, friends you skied with, recorded weather conditions, and other elements of your on-mountain experience. Seamlessly show off your adventure (and earn bragging rights) by sharing geotagged content with all of your followers, both the within the app and back out to your social networks. View current snow conditions, and visit the Explore section to research info on nearby Resorts, Offers (on-mountain special deals), and current Contests (performance stats or photo/video content entries). Stay connected with friends, family, and your Favorite Resorts on-location while you ski. Stay up-to-date with valuable resort information and accurate conditions. Performance tracking and detailed activity summaries. Social Feed and enhanced personal Profiles allow you to stay engaged with Friends and Favorite Resorts, both on and off the mountain. • Track your Stats with GPS while you ride: Vertical Feet, number of Runs, and Top Speed. The Snowledge app works worldwide. Using our app while traveling abroad does not require that you use any mobile data. Our tracking features utilize your phone’s built-in GPS to gather your stats and update your profile in the app. Snowledge is Powder. Be in the snow. Visit www.snowledge.co for more info and exclusive interviews and articles, Snowledge athlete profiles, video content, and free swag giveaways. *Continued use of GPS running in the background can decrease battery life. The perfect app for the mountain. I'm pretty amazed that nobody had developed an app like this for the ski & snowboarding community. Even if someone had, I doubt it would as polished as Snowledge. It's a pretty new app, so it will take a minute to catch fire. It's easy to get the hang of though. Think Instagram meets Strava, post pics/vids and track your runs. You can even find other Snowledge users on the same mountain using the GPS...that's a fun and useful feature. It's a great app, have fun with it! Snowledge is the best app I have found for skiing and riding because it does so much more than just tracking your day! I can find my friends on the hill when I show up late, check out everyone’s photos from the day, share my own, check the current weather, see what kind of deals the resorts are offering, and so much more! This app is simply the best!! !